Mark Squires of the team of Robert Parker at the wine author forum Wine Advocate gave high ratings this year, to the wines of Domaine Sigalas. Starting Vinsanto vintage 2004 with a score of 95/100, the highest it has ever won by Greek wines, white wines PDO "Santorini" Domaine Sigalas obtained scores more than 90/100, indicating recognition of the variety Assyrtiko Santorini with dominant elements of the complex structure, refreshing acidity, the delightful aromas and intense metallic aftertaste. Remarkable and the highest rated 89/100, which won the Mavrotragano vintage 2008 Domaine Sigalas, Red wine Protected Geographical Indication. This native variety which is endangered, still unknown abroad which have been ongoing efforts to revitalize and optimization. 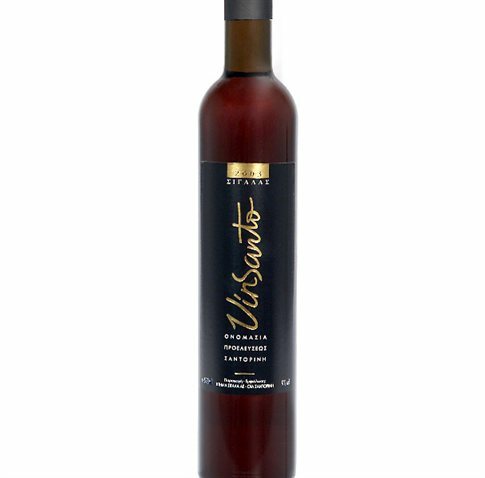 The company was founded in 1991 under the name Sigalas Winery Ltd. and 1998, worked in a private area, new production, bottling and aging wine. Since then, after constant investments in modernization and expansion was the current production infrastructure capable of processing and bottling 300,000 bottles annually. Today, DOMAIN SIGALA continues to implement its development strategy based on three key always the founding principles: a creative relationship with the tradition of Thera land, expertise and quality. The wines of Domaine Sigalas exported to Germany, France, Belgium, Austria, Holland, Cyprus, Switzerland, Sweden, China, Hong Kong, Russia, USA, Canada, Australia, Singapore and Brazil.